Exciting News! Save the date. Mark your calendars now for Saturday, August 3, 2019 for a Trillium House Special Event! Stay tuned for more details! You won’t want to miss this special night! 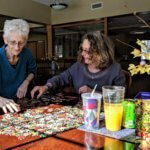 Nestled on a beautiful 6 acre woodland setting in Marquette, Michigan, the Trillium House is a tranquil environment in a homelike setting. Housing eight private bedrooms, each patient room has a lovely view of the expansive green lawn and gardens surrounded by pine, oak, and maple trees. In cooperation with local hospice programs, Trillium House provides residents with exceptional care and attention 24-hours a day, seven days a week. We provide personal care such as helping with bathing, preparing and assisting with meals, making sure medications are taken as they are prescribed and we keep everything, including their room and laundry clean. The best way to explain Trillium House is that we are simply a home. A very special home. We welcome guests to stop by for a visit or give us call. We are happy to listen and hold a hand. Trillium House is a home for all of us. Trillium Residents love to hear from their family and friends. 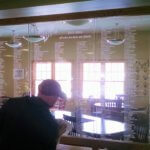 If you can't stop by for a visit, you can now easily send a message to a Resident. Click here. Volunteers play a vital role at Trillium House. Can you help us serve our Residents? 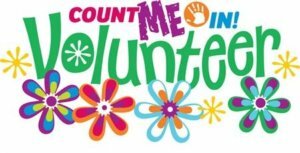 Find out more about volunteer possibilities by clicking here. To provide a home that is a place of warmth and loving care for hospice patients who cannot stay safe and comfortable in their own homes at the end of life. 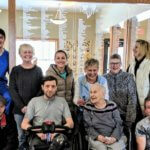 Trillium House offers a peaceful, homelike environment for terminally ill patients and provides end-of-life care that emphasizes compassion, independence, respect and dignity. In cooperation with local hospice programs, Trillium House provides residents with exceptional care and attention 24-hours a day, seven days a week. 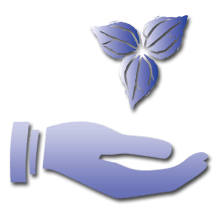 Trillium House fully supports the individualized care residents receive through hospice. This addresses their physical, emotional, spiritual, psychological and social needs. Hospice caregivers help control pain and symptoms so residents can live each day more comfortably and with dignity.